Imagine you are 38 year old. You hate your job. You been working in this industry for the past 14 years. Having been in this industry for some time, you realize that you have hit a plateau in your scope of work. If you move on to another job, you be subjected to the same stress, just that the amount of work, responsibilities would be slightly different. If you stay in the current company, 6 months down the road, the management will make the decision on where the regional technical office will be: Singapore or Malaysia. You tell your wife you had enough. Jumping into the healthcare IT industry seems daunting, both in terms of not knowing what you are getting yourself into, and having to rebuild your domain and connections all over again. However, you can take it because you could rely on your $300,000 dividend portfolio giving $18,000/yr in residual cash flow if you need to supplement your work income if you need to. Plus, your wife is still working. How possible is the scenario above? The work situation is very possible. Having a dividend portfolio generating 6% in dividend yield is rare among the mainstream crowd. However, I do think that your wealth can be rather functional even before you attain the amount needed for retirement. Vox media has an interesting piece written by E.J Roller titled My Parents give me $28,000 a year. And I find that in a certain sense, it explains how functional your wealth could be, before the retirement stage. Ms Roller shared with us her experience as a person struggling with a career in the arts. Not just that, her wife is also in the career of the arts and so are a lot of her peers. The article starts off when Ms Roller asks her wife if she would advise a student from a low income background to pursue a career in the arts to which her wife replied she would. Many financially savvy folks would have warned their friends from committing a large student loan to major in an arts subject. This is because they think that it is very difficult to make adequate money in the field of the arts, even if you have a very reputable university degree. It gets worse, when you have friends like my friend Chris, who would even go to the extend of providing monetary incentives to his children next time to take up a technical degree or certification such as CFA. The article took a sharp turn, when Ms Roller’s wife told the audience her parents gave her $28,000/yr as a recurring gift. 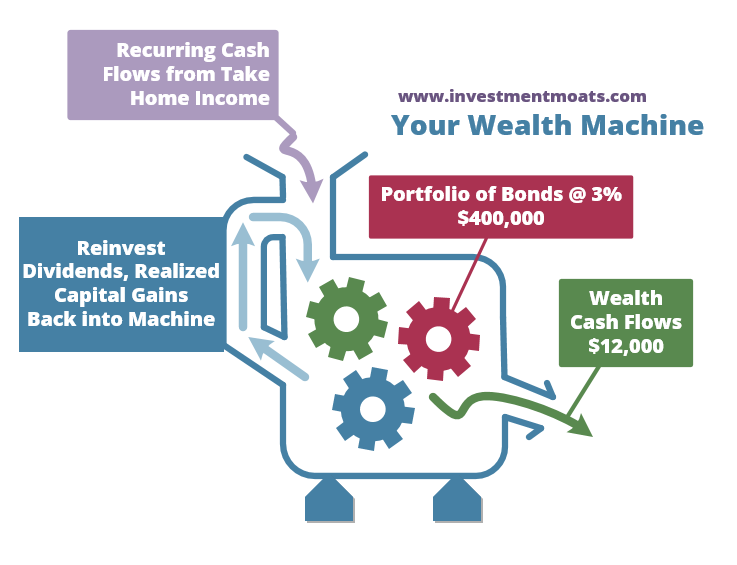 Now at Investment Moats, I often encourage you to create self-funded wealth machines. There are the folks who have what we called Bank of Mom & Dad. In the case of the writer, this is the case. And the article explains to us, from her point of view, the immerse upside of having $28,000/yr on a recurring basis. These are one time only. And in very rich Singapore, you can see a lot of parents giving you that upside. By not having a huge debt to clear off, it allows you to contribute your disposable income to other life’s milestones instead of clearing debts. The experience that she describes does not really sound like the financial independence lifestyle that financial bloggers like to put out. Those are areas that her parents could not give her. The gifted cash flow alleviates her of worrying about the basic necessities on life. The $28,000/yr recurring gift provides in my definition, financial security. In financial security, it doesn’t mean you lead the best quality of life. By alleviating the most basic and necessary aspect of living (according to the Maslow’s hierarchy of needs), it allows you to focus on what I would call, meaningful struggles. In Ms Roller’s case pursuit in theater writing is a struggle that she voluntary put herself through. Meaningful struggles do create joy when you overcome it. It may be why so many folks run half marathons and triathlons. Those are painful, but to those who understand them, its a struggle that they volunteer for and if you overcome it, it brings immerse satisfaction. Rich parents create a trust fund for their kids. We cannot choose our parents, but we may have the chance to create something similar. University have their own endowment funds, which is funded by donations. The manager of that endowment have to grow and reserve this sum of money. They have to have a system of spending so that they do not overspend and kill their endowment fund. In a certain sense, my concept of different wealth machines are similar to the concept of an endowment. Perhaps I should just called it a personal endowment. If you have not identify your goals or no concrete plans, your wealth machine accumulates to provide some financial peace of mind (read the importance of financial peace). Just as Ms Roller’s case, $12,000 to 15,000/yr isn’t going to give your family comfortable living. However, it might take care of the bare necessities such as rent, utilities, food. I would contend that even if your wealth machine(s) do not provide a sizable wealth cash flow now, it can be very useful for the situations listed above. $100,000 could potentially allow you to sustain 5 years of survival expenses before being totally exhausted. And 5 years is lengthy enough for you to struggle, and work something out. However, you have got to make sure that whatever that you decide to do, there needs to be a positive financial outcome to it. Unlike the ETF example I have given, you are spending down the actual capital, which means your capital is not intact, and you would have to find a way to re-accumulate the wealth back. Whether your parents provided you a trust fund allowance, or that you worked hard to create your own site of wealth machines, it is important to recognize that privilege. When you are a recipient of this privilege, you are probably defined by what you do with that stream of cash flow over time. For Ms Roller, her parents told her to take this gift as an “investment”. And what she did was to ensure that the money they provided her, eventually reaped a good return on investment. Now that the couple is self sustaining, she said that they could passed off that cash flow gift to others. Even if you worked hard to create your own wealth machine(s), you probably need to acknowledge that while we worked hard, you were on the receiving end of some privileges, and you are defined by what you do with your result. Her story was rather positive because she showed what an alternate stream of cash flow can do to a person with a challenging situation. Had this be about how parents paid for her college, her post grade masters, so that she could go into investment banking, you would be wondering how come Kyith will bring up this “Ah Sia Kia” story. There were a lot of times that I felt that the mainstream media couldn’t articulate well the utility why we channel our personal free cash flow into build wealth. And hence people do not see why they should choose to defer their spending to a later time when it is so clear spending money today brings higher personal utility to our lives. 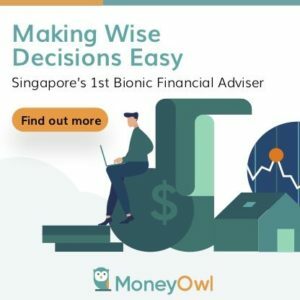 If you do not see the utility of retirement, and that goal requires you to defer so much of your cash flow, for so long, then it is no wonder we do not put away money for the purpose of retirement. I think the concept about saving for retirement is broken, yet the mainstream media is still asking for us to save for retirement. It would be better articulated to build your personal endowment fund that gives you security, and over time supports what you wish to do in life. You might or might not realize it, but #2 to #4 should be something that you eventually feel strongly about. And chances are, these would need some cash flow to support. That was a good write up. Cuts to the point quickly with a real life scenario of retrenchment and loss of income. The GIG economy is here to stay. Building passive income from an early stage of life is crucial and having mom & dad’s leg up is certainly a privilege. Yet few recognise the importance and significance. It is very difficult for anyone below 25 to resist the temptation to buy a new device, clothes, basically to spend and consume rather than to invest. It is just too far down the road and the gestation period is usually very, very long. Setting aside $1,200 plus dollars to buy 100 shares in OCBC is a big chunk for most 25 year olds and even 35 years old. But it is doable as long as they believe in the concept. Faith & trust rules here. However, when approached by a long lost classmate offering life insurance ( endowment or investment linked of course )… they fall into the life-long payment of premiums. Sigh…. then again that’s how life unfolds…. Thanks for all your writings and sharing, one of the very few writers that are sincere as demonstrated by your lack of promoting bad products. Hi, strongly agreed with the last paragraph. Avid reader of your writings for over a year now. Hi I can’t seem to receive your updates after you change platform ..
Can you add mi again? Hi Jenny, I think wait for 1 day. i am also befuddled why its not sent out. Hi Jenny, were you able to receive the most recent articles? Not all financial bloggers got good platform ….indeed gd platform are crucial..
Who will you recommend mi to follow for other financial bloggers?.. Hi Jenny glad you enjoyed them. I try my best. What kind of financial stuff do you need or curious towards? Do you mind giving mi your email? Hi Kyith. I like your advise and write up. I tried to subscribe a month ago but I’m still not receiving any emails. Can you help? Hi Gracd, what is your email address perhaps i can take a look.